Bischoff on Wrestling Recap w/ Christopher Daniels - Goldberg vs. Lesnar, WWE Embracing the Indies, A.J. Styles' Success, More! Bischoff comments on the rumours that WWE is interested in buying ROH. 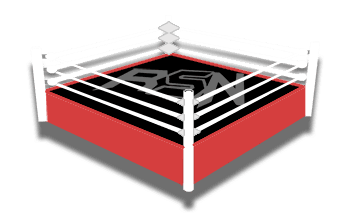 He speculates that WWE’s priority is acquiring ROH’s tape library, and he mentions how WWE have set themselves up tremendously moving forward with the WWE Network. With an ever-changing television landscape, WWE have set themselves up to be completely self-sustataining in a few years if they choose to go that route. Bischoff says that he’s a big fan of the Braun Strowman character. He’s interested to see what will happen between Strowman and Big Show in the Andre the Giant Memorial Battle Royal, which has now been moved to the WrestleMania pre-show on Sunday. Hausman asks Bischoff if he’d consider Goldberg’s recent WWE run a success. Bischoff says it has certainly been a success, and personally he thinks it has been amazing. This run has lasted longer than anyone expected it would, and the audience has been far more receptive to Goldberg than the company could have imagined since he was away from the business for 13 years. This has been a ‘win’ for WWE, Goldberg, and the WWE Universe. Bischoff thinks that Lesnar and Goldberg will deliver big time in their WrestleMania match on Sunday. He says that it’s in Brock Lesnar’s DNA to compete and succeed. In addition, Goldberg is a proud individual who puts an incredible amount of pressure on himself. You put those two guys together, and there’s no doubt that they will deliver at WresleMania on Sunday. Dinner with the King Recap – Hall of Fame Ceremony, Origins of the Rock N’ Roll Express, Feud with Rick Rude, More!